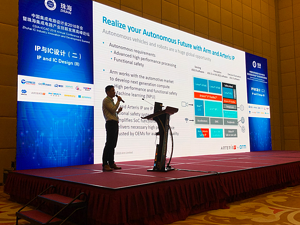 The joint presentation describes how new artificial intelligence (AI) and machine learning (ML) acceleration IP from Arm, like the Arm® NPU and Mali™ C71, can be implemented in ISO 26262-compliant automotive systems with the help of functional safety mechanisms in the Arteris IP FlexNoC and Ncore interconnects. Example systems discussed include Arm's new Cortex®-A76AE processors and the Cortex®-R52 CPU. 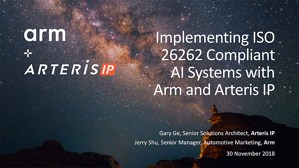 The 22-slide presentation provides an overview of how Arm IP can be implemented in systems with functional safety requirements in a manner that provides end-to-end data protection. You can download this presentation by Arm and Arteris IP here.